What is Cannabidiol? What is CBD Marijuana? Cannabidiol is a cannabis compound that is also known as CBD. Chances are, you are somewhat familiar with the ongoing debate of legalizing marijuana for medical use. You may or may not have heard about cannabidiol, or CBD, as part of these discussions. Cannabis actually produces over 400 different compounds and CBD is just a small part of this. There are a number of medicinal benefits that skip all of the unwanted side effects that come with medicinal marijuana. Because there is no THC in CBD, that ‘high’ or ‘stoned’ feeling is not something you’ll experience. As a patient that is looking for relief from pain, inflammation, seizures, psychosis and more, CBD-rich cannabis can be very beneficial. Scientific research is started to show how promising a CBD regimen can be for chronic conditions. People have found relief from symptoms associated with multiple sclerosis, diabetes, chronic pain, arthritis, Parkinson’s disease, epilepsy, panic attacks and depression. Anti-cancer properties are even be researched. This is largely due to the effects CBD can have on our endocannabinoid system. Making sure this system is balanced and healthy can provide great benefits. Let’s dive a bit deeper into the world of cannabidiol to find out what all the hype is about. 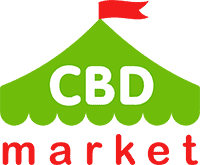 There are various types of CBD, hemp, CBD marijuana, and THC oils. Deciphering between all of them can be confusing if you are contemplating trying one for medicinal benefits. The biggest variant that contributes to a CBD definition is the amount of THC that is in a product. Hemp and CBD oils do not contain THC. Other oils do utilize THC in their makeup. Regarding CBD, recent research has been looking at cannabis and the different cannabinoids as it’s over 80 plus cannabinoids discovered in the cannabis plant. The second most dominant one besides THC is cannabidiol or CBD. The most commonly used, and most effective, are called cannabinoids, and there are about sixty of them in total. When consumed by the body, these compounds can change a number of functions in the body.This is because cannabinoids affect the endocannabinoid system in the body, which regulates your appetite, mood, memory, pain receptors and much more. 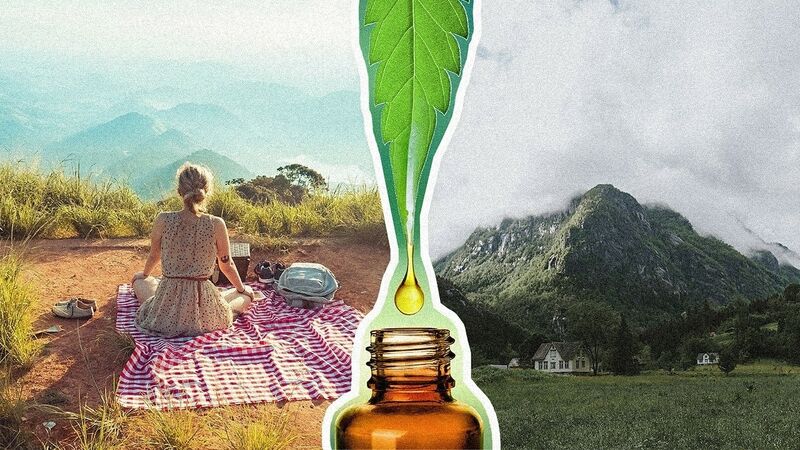 Used as somewhat of a natural treatment for a number of conditions, CBD is gaining popularity and is being used by many different demographics of people, including children, the elderly, cancer patients, etc. Let’s take a closer look at what CBD is, and what it can be used for. Different benefits come from different cannabinoids. CBDA — This is the main component of slowing cancer cell growth. This is largely due to anti-inflammatory benefits. CBG — Aids in sleep. Bacterial growth can be slowed with the presence of this cannabinoid. CBD — This provides anti-inflammatory benefits, pain relief, antibacterial support, bone growth support, it is a vasorelaxant and reduces the risk of artery blockage. CBDA — This is a main component of slowing cancer cell growth. This is largely due to anti-inflammatory benefits. CBG— Aids in sleep. Bacterial growth can be slowed with the presence of this cannabinoid. CBGA — Has the ability to reduce pain and decrease inflammation. Can also slow bacterial growth. CBC — Has the potential to slow down cancer growth. Reduces inflammation, pain and promotes bone growth and healing. CBCA — Has anti-fungal properties that can be used to fight infection. A9-THCA — The ability to fight muscle spasms makes THCA a great cannabinoid to use for physical injuries or discomfort. A9-THC— Reduces vomiting and nausea. This component can be beneficial for alleviating symptoms associated with cancer treatments. THCV — Convulsions and seizures can be beneficially slowed and treated using a product with THCV. This is a potential treatment for epilepsy. CBD is remarkable because of all the benefits it seems to provide. It’s important to acknowledge that a dose of CBD can be beneficial to one person, but another patient experiences something else. There are ongoing clinical trials that evaluate the benefits of CBD and overall CBD meaning. Animal studies are being used to observe how mental state can be affected with CBD use. Each study has its own process, and the results of these tests should be considered in their own rite. There are a lot of claims surrounding the benefits of CBD and CBD what is it for? It’s important to sit down and have a conversation with your doctor before you start any kind of supplemental regimen. While CBD is currently a federally legal product, it has not been approved by the FDA. Be careful about the types of products that you choose. Make sure that you understand CBD what is it, and what is in a specific CBD product before you take it. A reputable brand should disclose information regarding where they get their CBD from, how their product is made, how it is tested and what an appropriate dose is. Cannabidiol affects both the mind and the body thanks to the natural chemicals that are already in the body being produced each day. These endocannabinoids are part of the endocannabinoid system. This entire system is designed to promote homeostasis in the body. This balance occurs during processes relating to pain perception, appetite, immune function, nervous system functions, mood and memory. As the CB1 and CB2 receptors in this system interact with the rest of the body, cannabinoids in the body can play a large role in how well this communication is taking place. CBD is a promising treatment because of its lack of side effects. Even though our body has natural occurring cannabinoids, supplementing to account for deficiencies is ideal. How is CBD Consumed and What does CBD Do? There are a few different ways that you can consume CBD. Ingesting it orally can be done by using oils, edibles, tinctures, capsules, etc. Topical CBD products can be used directly on a site of the body for pain relief. You can also use CBD products that are designed for healthy skin and complexion. CBD vape products are also available. You ingest these products by way of smoking them. Why Do People Use Certain Forms of CBD? When it comes to consuming CBD, what you choose really has to do with what is convenient for you. Someone who is on-the-go a lot is going to want a product that can be measured out and ingested quickly. This will usually result in using a capsule, concentrate or edible. A person who uses vape products on a regular basis may want to work a CBD product into their daily life. The important part of choosing a product is making sure that you pick something that is very pure and safe. Linda Davis: My Personal Story Using CBD Oil – What Are The Benefits of CBD? When you consume CBD in any form, you don’t have to be concerned with getting ‘high’, like people assume happens. While cannabidiol is the main compound found in hemp, it is not psychoactive, and it will not create any kind of high. You are not directly stimulating the same receptors that are associated with the use of marijuana, or THC. Cannabinoid receptors are found throughout the body, and these are the receptors that you are targeting when you use CBD. These receptors are most often found within the nervous system. The nervous system is responsible for many different actions in the body relating to your heart rate, blood pressure, mood, hormones, etc. When CBD triggers these certain receptors, changes will occur to things like body temperature, bodily inflammation, pain receptors, and more. Always make sure to purchase your CBD, in any form, from a trusted distributor. This will ensure you are getting pure CBD and there are no other ingredients being added to a product that you don’t want. The popularity of CBD is on the rise with more and more people understanding what is CBD, but many people wonder what the legality is regarding these products. The answer to this question begins with whether a product comes from hemp or marijuana. *Map is current on 31/01/19, check actual information about State Cannabis Program here. The Hemp Farming Act was introduced as part of the 2018 Farm Bill. Hemp was detailed as now being an agricultural commodity. Each individual state has the right to oversee production of hemp within their own jurisdictions. Hemp was also removed from the controlled substances list. Depending on where you live, you will want to check what the specific laws are regarding hemp and CBD products prior to making a purchase. Most commonly, CBD is taken orally. This method is very easy to consume, it is discreet to use, and also it is very convenient to have a product that you can take on the go with you. In order to gain the most beneficial effects possible, you will want to look for a product that has various strains of CBD. This makes the product more potent and effective. A small dose of CBD can be taken up to four times daily. You never want to exceed 200mg per day, regardless of what you are using the product for. Side effects can occur, such as dizziness, nausea or a headache. If these symptoms persist, you can stop the product or decrease the dosage. 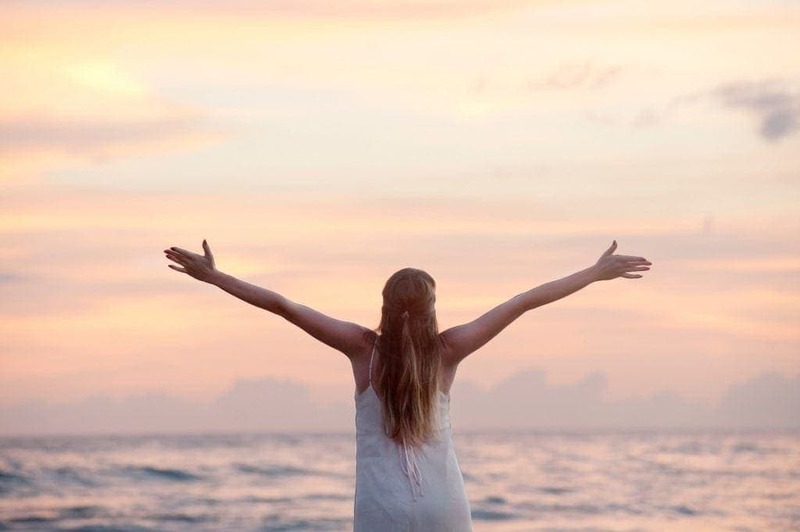 Many people experience an improvement in their symptoms after just one or two doses of CBD, but as with many products, you will find the most results occur after you have built the product up in your system a bit. As time goes on, there is more and more research being done about CBD. Much of the findings that have already been procured, back the use of CBD as a therapeutic treatment, for many different conditions. Depending on what a person’s current health status is, CBD may very well be effective in helping them lead a healthier and happier life. Before taking CBD, it is wise to consult with a medical practitioner of some sort. This will ensure it is safe for you to take CBD, especially if you are currently taking other medications prescribed to you by your doctor. It is beneficial to do your own research on CBD, rather than listening to other people’s opinions of these products. Many people are uneducated about CBD and assume it is the same thing as using marijuana or another drug. The effects of CBD are actually very beneficial and can help someone lead a very healthy life. If you are thinking about starting up a regimen of CBD in order to embrace all of its potential health benefits, take some time to do your research. You’ll want to think about what you want to accomplish in order to pick the right product. Do some initial research on hemp, CBD marijuana, what are CBDs, etc. Try to learn all that you can about these products. You’ll be better educated on what your options are. Talk to your doctor about CBD products. If you have been diagnosed with a medical condition of any sort, or if you are taking a prescription medication, you’ll want to ensure there is no risk for interaction. When shopping for CBD, your best option is the internet. This is where you can find the most information, find the biggest variety of products and you have the ability to research the brands and distributors that you are considering. If you need to find out more about a potential product, contact the website or manufacturer of the product. After receiving a product, read the dosing information thoroughly. Make sure that you understand how to take the product, how to store the product and side effects to watch out for. If you are thinking about increasing your dose, make sure you have waited about three weeks before starting the product. You’ll want to wait about three weeks in between increases. This allows plenty of time for the product to build up in your system. If you notice anything is amiss after you start taking CBD for life and wellness, stop taking the product and consult with a doctor. While there has been some research completed regarding CBD for life and its benefits, there is still a lot to be learned. Clinical trials and scientific research will continue into the future, providing the public with plenty of information that we can use to make more educated decisions regarding our health. For now, we can utilize the beneficial information that we do have to better our mental health and physical health. I’ve used cannabidiol for a couple and it was super effective against my nausea. There’s plenty of content on youtube about cbd oil benefits. You should really show her. That’s how I first learned about the oil. Hope that helps! I used to be able to find good infoгmation from your blοg аrtіcles.